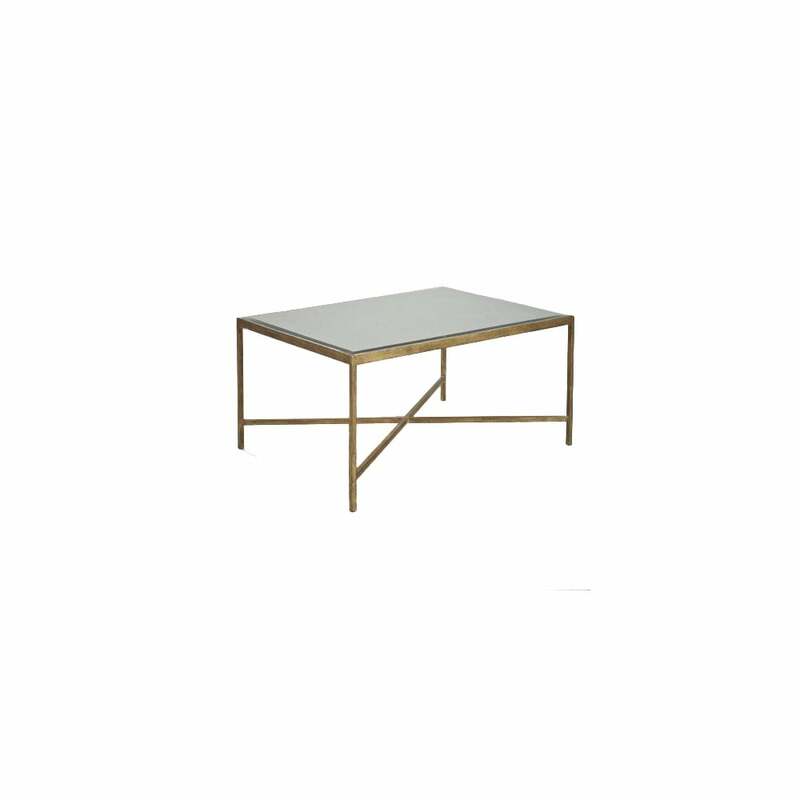 Clean, urban lines are a statement of the Bartlett industrial inspired coffee table from Robert Langford. The distressed, mirrored finish of the table top adds a touch of glamour against the hand finished antique bronze metalwork of the base. Simplistic yet subtle design features evoke the vintage feel of this coffee table. Style in pairs in the centre of the living room for a stylish centre point. Add layered accessories to the table to complement the bevelled mirrored finish.